You flash the clicker question on the screen and give your students about a minute to read it and vote. Your students don’t realize it, but you know it’s not your average clicker question. The distracters aren’t simply incorrect; they’ve all been carefully designed to reflect common student mistakes or misconceptions. As a result, their answers will tell you not only if students are wrong but precisely why. “Okay, interesting responses,” you say. “Now, turn to your neighbor and convince her that your choice was the correct one.” You wander the aisle listening for the arguments students offer. You know that when they vote again, more of them will understand the correct answer. They’ve finally gotten the hang of this peer discussion technique. It took a little time and practice, but you’re already seeing improvements in learning. Class time is valuable, and genetics education research has shown that it’s best devoted to problems and concepts that are most difficult for students. New teaching innovations such as peer discussion and concept inventories are leading to dramatic improvements in student learning in courses where it’s been implemented effectively. The adoption of student-centered teaching in genetics courses lags behind physics, astronomy, and math, but it’s catching on thanks to educational research by some of our own colleagues. 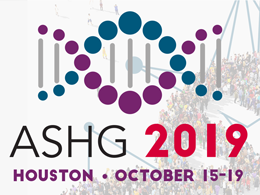 For a number of years, ASHG has been implementing Building Excellence in Human Genetics (BEGIn)—an intensive two-day workshop for undergraduate, graduate, and professional school genetics faculty, which has received rave reviews from participants (93% excellent or very good). Uptake, however, has been slow because of the difficulty of carving out two days from busy research and teaching schedules. To make the workshop’s content more accessible to more faculty, we’ve split it into two parts: a set of online modules, and a more compact workshop that requires only about six hours. Content that is more foundational, theoretical, and didactic is now available in three online modules that can be used by faculty members at their convenience. Although this is online, the content isn’t all passive. There are questions and tasks embedded within the presentations to keep faculty engaged and to model some of the techniques you should be using with students. The workshop has been reserved for the hands-on practice necessary for a confident and successful transition from lecture-based teaching to student-centered instruction. The format is a “situated apprenticeship,” which means you will do the things you’re learning about. ASHG has been conducting the BEGIn workshops on university campuses to eliminate the need for faculty to travel. We are hoping more faculty will now be able to take advantage of this valuable program. The BEGIn online modules are now available for viewing, and you can arrange an on-campus workshop by emailing education@ashg.org. Michael Dougherty, PhD, is ASHG’s Director of Education. Learn more about BEGIn and other ASHG programs for genetics education online.